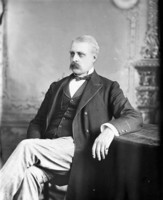 HOWE, JOSEPH, journalist, politician, and public servant; b. 13 Dec. 1804 at the Northwest Arm in Halifax, N.S., son of John Howe and Mary Edes; d. 1 June 1873 at government house in Halifax. 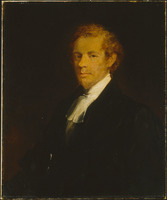 The most lasting influence upon Howe was exercised by his father, loyalist John Howe, whom he once described as “my only instructor, my play-fellow, almost my daily companion.” The one member of his family who sided with Britain in revolutionary times, John Howe had a reverent, almost mystical, attitude towards the British connection, and he passed this attitude on to his son; indeed, it was one of two qualities which, more than any others, determined the son’s conduct and shaped his career. The second quality was “a restless, agitating uncertainty” which made an ordinary, humdrum existence intolerable. “If I could be content,” Joseph Howe wrote, “to go along quietly and peaceably like my neighbours and at the end of some fifty or sixty years tumble into my grave and be dust, I should be happy – very happy.” But that was not to be. Because his formal education was limited by impecunious circumstances, Howe was largely self-educated: he read late into the night “if the book is amusing and the fire does not go out”; he was an acute observer of the circumstances around him. “My books are very few, but then the world is before me – a library open to all – from which poverty of purse cannot exclude me – and in which the meanest and most paltry volume is sure to furnish some thing to amuse, if not to instruct and improve.” To his Sandemanian father he owed not only his familiarity with the Bible and his “knowledge of old Colonial & American incidents and characteristics,” but also the moral and physical courage which later stood him in good stead. At the age of 13 Howe was already assisting his father in his duties as postmaster general and king’s printer. Since these offices would go eventually to his older half-brother John Jr, he had to seek other employment. The fateful decision was made early in 1827 when he and James Spike purchased the Weekly Chronicle and began to publish it as the Acadian. However, within less than a year – in December 1827 – Howe took over the Novascotian from George R. Young* and soon made it the most influential newspaper in the province. Joseph Howe married Catherine Susan Ann McNab on 2 Feb. 1828. Between 1829 and 1848 they had ten children; of these only five lived to become adults, and none achieved the pre-eminence of the father. Howe’s enemies implied that he fathered numerous illegitimate children, but these implications were based more on rumour than on fact. His letters suggest that he was very close to his wife and that he greatly missed his family during the long periods when his political career took him away from home. Each session concluded, he turned with zest to the books, magazines, pamphlets, and newspapers which had accumulated on his desk, and the columns of his paper attested to his thorough acquaintance with British, European, and North American affairs. Wanting to observe at first hand, he explored every nook and cranny of large sections of his native province. The fruits of these travels – the “Western Rambles,” which appeared in the Novascotian between 24 July and 9 Oct. 1828, and the “Eastern Rambles,” appearing between 16 Dec. 1829 and 4 Aug. 1831 – concentrate on the physical features of the regions and the social characteristics of their people. Occasionally Howe would publish verses of his own, some of which appeared in Poems and essays, published the year after his death. Commenting on his poetry, Professor J. A. Roy has said that although “he had the urge towards poetry and poetic expression . . . his ear was defective; he was imitative and trite, and ignorant of the most elementary prosodic principles.” Howe sought also to “elevate the character of the country . . . and lay the foundation of a Provincial Literature” by printing such works as Beamish Murdoch’s Epitome of the laws of Nova Scotia and Thomas Chandler Haliburton*’s The clockmaker and The historical and statistical account of Nova Scotia; these ventures provided an important service to the province but greatly increased the financial difficulties that perennially embarrassed Howe. Even the Brandy Dispute of 1830, in which the council prevented the assembly from correcting an error in the revenue laws at the cost of defeating the entire appropriation act [see Enos Collins], did little to change his opinion. Apparently he felt that an assembly which opposed one outrageous action would also intervene in less extreme cases. 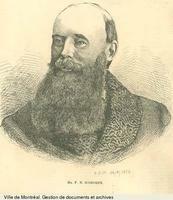 Furthermore, he still considered parties to be factions operating against the public interest; personally he wanted to belong to only one party, “the party of Nova Scotia.” It took another series of issues to make him appreciate the complex forces at work in Nova Scotian society and realize that the machinations of the true possessors of power were not disinterested. In 1832 and 1833 Nova Scotia’s banking and currency problems showed the assembly’s weakness and the council’s power. The five councillors who were directors of the Halifax Banking Company first delayed the incorporation of a second bank and then whittled down its powers. The manipulations of the two banks soon led to a depreciated currency, and the assemblymen, moving like puppets controlled by wires from the council, did not demand the action that would restore the currency to a sound basis. 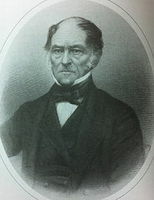 In 1834 Howe denounced an assembly which seemed willing to negotiate with the British government for the commutation of quitrents on land in return for a suitable establishment for the public officials. The quitrents, he insisted, should be commuted unconditionally; Nova Scotia would do justice to its public servants without having a club held over its head. In his attitude towards political parties Howe still found it difficult to don all the trappings of the typical colonial reformer. Although he admitted that there were questions in the colonies that might “form the touchstones of party” much as in England, he could not dispel his earlier fears that parties would become selfish factions; he was also suspicious of highly disciplined parties that restricted their members’ freedom of action. None the less, it was much of his doing that the assemblies which were elected in 1836 and 1840 contained majorities favouring Reform principles. His success so antagonized the official faction that he was forced to fight a duel with John Halliburton, son of the chief justice, on 14 March 1840; Halliburton missed and Howe fired his pistol into the air. 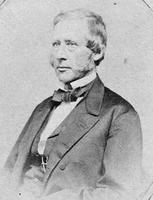 The strongest act in which Howe participated – an address to the crown in 1840 requesting the removal of Lieutenant Governor Colin Campbell* – brought Governor General Charles Poulett Thomson* (soon to be Lord Sydenham) to Halifax and led, in October 1840, to Howe’s entering the Executive Council in a coalition with the Tory James W. Johnston. Sydenham persuaded Howe that it was his duty to cooperate in reducing discord; he was wrong, however, in suggesting that Howe had “made the amende honorable and eschewed his heresies on Responsible Government publicly in his newspaper.” Howe agreed for the moment that “the Queen’s representative [could] devolve the responsibilities of his acts on no man”; but he felt there was little difference between Sydenham’s and the Reformers’ ideas of responsibility, since in the former’s scheme the governor must depend upon public confidence and popular support, and would be foolhardy to refuse the advice of a council which had to defend his acts. Howe’s conduct, wrote Chester Martin, was logical for one who “distrusted stark theories and relied . . . upon the subtler accommodations of practice and experience.” Indeed, during the election late in 1840, Howe argued that, if Nova Scotia were to be a normal school for the other colonies, it ought not to press organic changes too rapidly, but be content with steady, piecemeal progress. 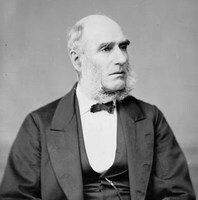 Naturally he regretted that such Reformers as Herbert Huntington*, the Robert Baldwin of Nova Scotia, refused to support the coalition, which they considered, at best, an ineffectual armistice, reversing the progress towards a well-disciplined Reform party. 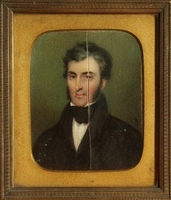 During the coalition period Howe became speaker of the assembly (1841) and collector of excise at Halifax (1842). 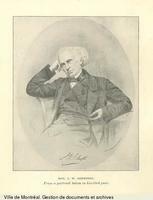 By the end of 1841 he had decided upon a full-time political career and sold the Novascotian. Meanwhile the coalition was experiencing rough weather. 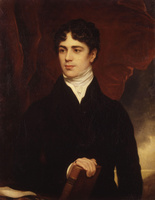 In early 1843 Howe told Lieutenant Governor Falkland [Lucius Bentinck Cary*], that something more was “required to make a strong Administration than nine men, treating each other courteously at a round table – there is the assurance of good faith – towards each other – of common sentiments, and kindly feelings . . . .” During the session of 1843 Howe’s denunciation of grants to denominational colleges, particularly Acadia, exacerbated his relations with the Baptist Johnston. After the Tories assumed office in Britain in September 1841, the governor had relied more and more upon the Tory councillors. 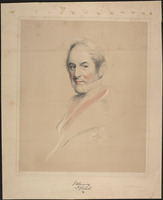 Towards the end of 1843, during Howe’s absence from Halifax and against his advice, Falkland dissolved the assembly, supposedly to escape the party government which he said the Reformers were trying to force on him. He got what he wanted: a Tory majority, albeit small. 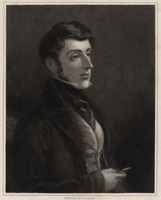 Then, in December 1843, he weighted his ministry altogether in favour of the Tories by appointing Mather Byles Almon, Johnston’s brother-in-law, to the council, ostensibly to demonstrate his belief in mixed rather than party government. Howe and the two other Reform councillors resigned forthwith. 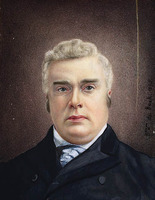 Until the election of August 1847 Howe devoted all his energy to undoing the effect of the coalition and reviving the Reform party. From May 1844 to April 1846 he assumed the editorship of the Novascotian and the Morning Chronicle, and “his armchair became the centre and rallying point of the whole party.” Again the readers could say: “Why, here is Howe among us again; not Mr. Speaker Howe, not the Hon. Mr. Howe, but Joe Howe . . . making us laugh a good deal, but think a good deal more, even while we [are] laughing.” Howe delineated the issues more clearly than ever before, and the election of 5 Aug. 1847 was as much a referendum on the single issue of responsible government as a British-style election is likely to be. The Reformers’ margin in seats was only seven, but their victory was certain, for none of the new assemblymen fell into the category of “loose fish.” It was simply a question of voting out the Tories on 26 Jan. 1848; a Reform administration was installed a few days later. 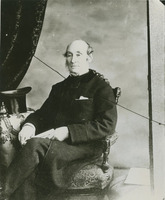 Nova Scotia had become the first colony to achieve responsible government, and Howe boasted it had been done without “a blow struck or a pane of glass broken.” Yet he was being somewhat sanctimonious, for external circumstances such as the rebellions in the Canadas played no small part in making it possible. James Boyle Uniacke* rather than Howe, the architect of victory, headed the new administration. Howe was paying the price for his intemperate conduct. Unable to stand exaggerated criticism and invective for long, he had reacted violently to Falkland’s conniving with Tory publicists behind the scenes. However, his lampoons and pasquinades reflecting on the governor – the “Lord of the Bed-Chamber” was the best known – not only horrified the colonial Tories but also hurt his reputation for moderation in England. Nevertheless, Chester Martin goes much too far when he suggests that this barbarous type of warfare “embittered [Howe’s] most cherished memories, coarsened his nature, and stained his name; lost him perhaps the first premiership under responsible government overseas in 1848, and in the end contributed not a little to fasten upon him the cardinal sin of indiscretion that barred him from the career he coveted beyond his native province.” Actually Howe’s loss of the premiership was more in name than in substance, for to many it was his ministry all the same. 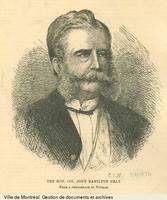 Indeed, because of his friendship with Sir John Harvey*, some suggested he ran not only the government, but also the governor. As provincial secretary, Howe played an active role in adapting the province’s institutions to responsible government. 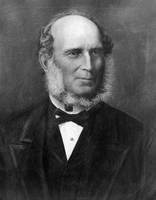 But by March 1850 he had turned his chief attention to the idea of building a railroad from Halifax to Windsor, N.S. 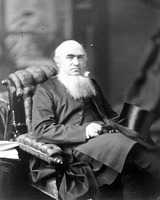 “It is the first duty of a government,” he said, “to take the front rank in every noble enterprise; to be in advance of the social, political, and industrial energies, which they have undertaken to lead.” In November he went to Britain to determine the conditions on which Nova Scotia might borrow money for the project. Then one of his so-called “flashes” transformed a purely pecuniary mission into a plan for the elevation of the empire. It included promoting vital public works through imperial credit, preparing crown lands for settlement, and encouraging the migration of the poor from Britain through cheap transportation. After an initial rejection of his plan, the colonial secretary let Howe come “face to face with the people of England”; his speech at Southampton on 14 Jan. 1851 drew wide and favourable attention in the British press. By year’s end the blow fell. The colonial secretary denied that he had intended to offer guarantees for the Portland branch and Howe’s grandiose plan lay in tatters. At the time he personally accepted blame for the misunderstanding; later he attributed his failure to sinister influences operating on the British government. 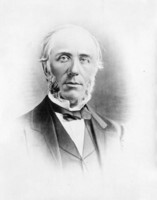 Howe was now determined that Nova Scotia should build its own railways as public works. Late in 1852 he arranged for adequate financing on favourable terms with Baring Brothers. Even then he had to accede to the demands of the opposition that private enterprise have the first opportunity. When it reneged he finally, in 1854, got railway legislation along the lines he wanted. 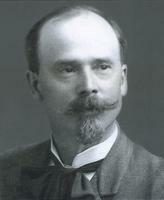 Shortly afterwards he resigned as provincial secretary to become chief commissioner of a bi-partisan railway board. It is sometimes said that the only figures he understood were figures of speech, but he had no difficulties with the details of railway finance, and no scandal or bumbling occurred in railway building under his management. 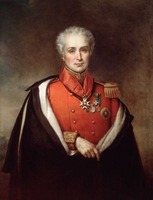 In addition to the railway commissionership, Howe had the Crimean War to occupy him during 1855. Because of his attitude towards Britain, he accepted without question the British case in this conflict. Furthermore, during March and April 1855 he engaged in a “recruiting” mission to the United States; according to him, he simply made known the conditions of acceptance to those who voluntarily offered their services and he did not break the American neutrality laws. But he himself admitted that, if ordered to violate the policy of any foreign state in order to assist “the gallant fellows in the Crimea . . . , I would have obeyed without a moment’s hesitation,” and there is evidence to suggest that he did commit such violations even without express instructions from his superiors. His American venture had unforeseen repercussions. 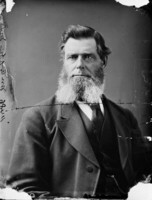 It allowed him only 18 days to fight the general election of 22 May and he went down to personal defeat before Dr Charles Tupper* in Cumberland. Indirectly, but of greater significance, it led him into conflict with the Irish and other Catholics of Nova Scotia. He had noted that some Irish priests had recently founded the Halifax Catholic and were using it to gloat over British reverses in the Crimea. 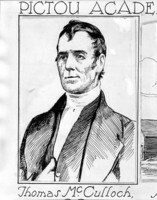 A little later the president of the Charitable Irish Society had met Irish volunteers from the United States on their arrival in Halifax and persuaded them not to enlist for Crimean service; he also publicized Howe’s activities in a New York newspaper, forcing him to flee from the United States in fear of arrest. Finally, in May 1856, Irish navvies working on the Windsor railway, as a reaction to their being taunted about their religious beliefs, inflicted a merciless beating on their Protestant tormentors at Gourley’s Shanty. For the moment Howe held himself in check. 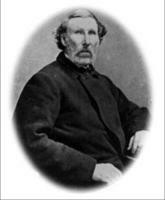 But when the alleged perpetrators of the crime went free in December 1856, and the Halifax Catholic warned Protestants not to ridicule Catholics – especially those of the “mercurial” Irish variety – about their beliefs, Howe was betrayed into saying that Protestants had the right to make fun of any doctrines that they found to be absurd. 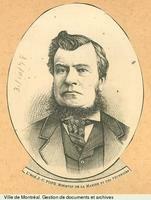 Religion intruded itself strongly into the general election of 12 May 1859; the Liberals described their opponents as “Romo-Johnstonites” and were in their turn labelled “Proscriptionists.” The Liberals won by 3 seats, but half a dozen of their members were allegedly disqualified because they held offices of emolument under the crown. 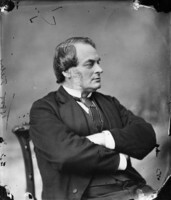 None the less, the assembly voted out the Conservatives in February 1860 and Howe, who had been elected again in Cumberland, became provincial secretary in William Young*’s administration. Eventually committees of the assembly confirmed all the Liberal members in their seats. This outcome of the “Disputed Election of 1859” exacerbated further an overheated political situation. 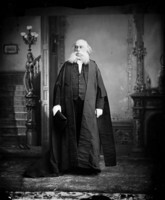 Since January 1855 papers like the Acadian Recorder had been wondering if there were “any cogent reason for the division of the Representatives of Nova Scotia into two parties, regularly organized for the annihilation of each other, in the halls of our Legislature.” Over the next few years things got worse, and this was the situation Howe inherited when Young became chief justice and Howe took over the government in August 1860. 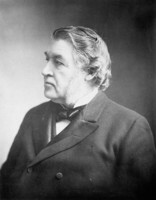 Howe’s premiership was an unending struggle to maintain his precarious majority against the out-and-out onslaught of Charles Tupper. More than once he told Tupper that he would “never command that influence which he wishes to attain until he learns to have more of . . . Christian charity in dealing with his fellow-men.” In 1862 Howe almost got agreement upon an intercolonial railway, only to be defeated by the political difficulties in Canada. Generally, however, he was occupied with picayune, humdrum matters. On the basis of an occasional excerpt from his diary or letters, J. A. Roy pictures him as utterly despairing and disillusioned during this period, but this was not his typical state. None the less, he did welcome, in December 1862, his appointment as imperial fishery commissioner under the reciprocity treaty of 1854 although the position provided little scope for his talents. Almost against his will he contested the general election of 1863, in which a worn-out, leaderless Liberal party went down to overwhelming defeat, and he suffered personal loss in Lunenburg. When, in November 1858, the two volumes of his speeches and letters (the so-called [William] Annand* edition) came off the press, he forwarded copies to many Britons of influence to demonstrate his own capacity for high public office. J. A. Roy describes Howe’s pleas as “one of the most humiliating and self-abasing dunnings of Downing Street on record,” but Howe’s 15 letters over a six-year period during which the colonial secretaryship often switched hands hardly constituted a highly concentrated campaign of self-aggrandizement. In any case his requests were motivated by much more than personal ambition. To him responsible government had conferred on colonials only part of the rights enjoyed by Britons, and the empire should be organized to confer these rights in their entirety. To serve the empire, preferably at its centre in London, but alternatively even in so remote and primitive a region as British Columbia, was the noblest mission Howe could conceive. 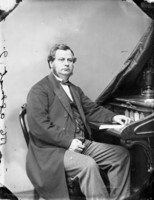 Howe declined Tupper’s invitation to be one of the Nova Scotian delegates to the Charlottetown conference in September 1864. Apocryphally, he refused to “play second fiddle to that damn’d Tupper”; actually, he had been instructed by Russell to finish his work as fishery commissioner as quickly as possible, and did not have permission to accept Tupper’s invitation. 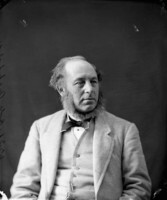 By mid-1868 Howe knew that the game was up, but he did not openly “accept the situation” until December 1868, when Gladstone’s newly installed administration confirmed that the union was to remain as it was. 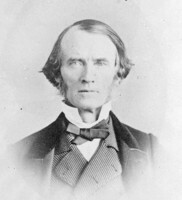 Throughout the summer and autumn of 1868 Howe’s main function was to keep in line the advocates of insurrection and annexation within the anti-confederate ranks. If the issue had been one simply between Canadians and Nova Scotians, he said, “I would take every son I have and die on the frontier before I would submit to this outrage,” but he had been a loyal and devoted British subject all his life and would continue one to the end. 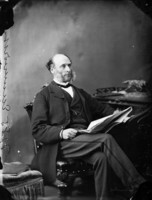 In January 1869 Howe and his fellow Nova Scotian mp, Archibald W. McLelan*, reached an agreement with the federal minister of finance, Sir John Rose*, for granting “better terms” to Nova Scotia and on 30 Jan. 1869 he entered the dominion cabinet as president of the council. 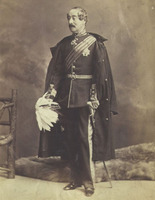 The necessity of fighting a by-election in Hants in midwinter against determined opposition resulted in his complete physical breakdown, and, although he won the election, he never fully regained his health. 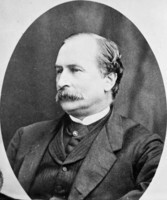 As a federal minister, he was the subject of controversy on two occasions. 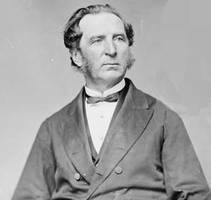 On 16 Nov. 1869 he became secretary of state for the provinces and in that capacity oversaw the arrangements for bringing Manitoba into Canada. Anxious as always to see things at first hand, Howe overtaxed his ebbing strength by a visit to the Red River. 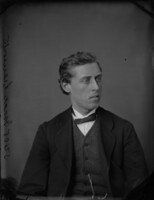 Later, when the lieutenant governor-designate, William McDougall*, could not enter the new province because of insurrection, he blamed his difficulties on the loose talk and anti-Canadian bias of Howe. But the House of Commons declined to go along with him. 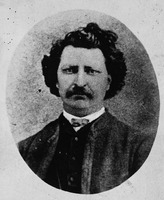 In May 1873 Howe became lieutenant governor of his native province. 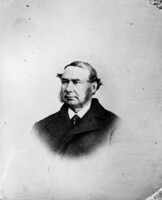 He had held that office less than three weeks when he died at government house in Halifax on 1 June 1873. 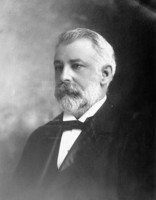 E. M. Saunders* in Three premiers of Nova Scotia and W. L. Grant* in The tribune of Nova Scotia accepted G. M. Grant’s thesis at its face value. But more recently (1935) J. A. Roy went them one better in Joseph Howe: a study in achievement and frustration. 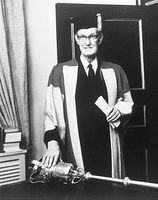 A professor of English, he treated Howe as the protagonist of a Shakespearian tragedy whose fortunes proceeded inexorably downwards after reaching their apogee. “Once [responsible government] was achieved his main work was done. 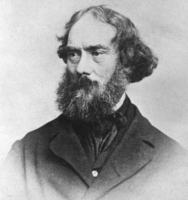 Dullness succeeded enthusiasm, cynicism, faith; and from now on, his story is one of fading day and falling night.” In writing of Howe, most general historians and biographers of Howe’s contemporaries have taken their cue from G. M. Grant or J. A. Roy or both. None would deny that Howe was an egotist, but Grant adduces not a tittle of evidence to indicate that egoism determined his opposition to the Quebec resolutions. The fact is that Howe’s position was thoroughly consistent with the statements and activities of his past life and was entirely predictable, apart from considerations of jealousy or egoism. Howe, “a liberal imperial federationist” (to use Professor Donald Creighton’s description), may be criticized because he failed to appreciate that his plans for the organization of the empire ran completely counter to the trend of thinking in Britain when he proposed them. 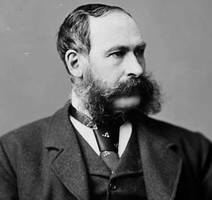 He may have been altogether too unwilling to recognize the feasibility of a united British North America in the 1860s and he may have exaggerated the possible evil effects of that union on Nova Scotia. But he has suffered unfairly because the charges of inconsistency, precipitate intervention, and bad motives that were made against him by the partisanship of the confederation era were perpetuated in a hoary mythology that has been resistant to reinterpretation. 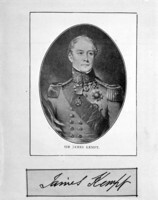 Throughout his career Howe exhibited failings and deficiencies of varying kinds: when it suited his own purposes he could be annoyingly ingratiating; although his diaries reveal him as humble and self-effacing, on occasion he was highly egotistical; in the matter of office-holding by members of his family, he permitted himself a line of conduct he would not tolerate in others; after putting up with abuse for a time, he might finally demonstrate an utter lack of moderation; self-educated in a hard school, he sometimes lacked refinement, as instanced by his off-colour allusions in the assembly and his stooping to outright vulgarity with less sophisticated audiences. But these are minor blemishes and they are more than counterbalanced by a basic consistency, an adherence to principles, which is uncommon. None the less, Howe is a difficult man to categorize. Basically he was a conservative reformer, even though his name is primarily associated with radical, even revolutionary objectives. Although he personally thought of himself as a liberal, he outdid even the most ardent Tory in his devotion to Britain. 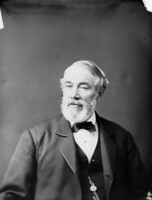 As a man who felt that land, easily acquired in Nova Scotia, should be the basis of the franchise, and whose government abolished the universal suffrage which had been operative for a decade, he could hardly be labelled a democrat. Yet he did insist that the people had a right to be consulted directly on intercolonial union. [PAC, MG 24, B29 (Howe papers); MG 30, D9 (Johnson papers). 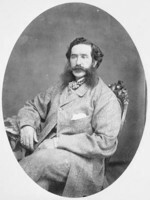 British Colonist (Halifax), 1848–73. Morning Chronicle (Halifax), 1844–73. Novascotian (Halifax), 1827–73. Sun (Halifax), 1845–67. Times (Halifax), 1834–48. Nova Scotia, House of Assembly, Journals and proceedings, 1837–68. For older biographical material on Howe, see: G. M. Grant, Joseph Howe (1st ed., Halifax, 1904; 2nd ed., Halifax, 1906); G. E. Fenety, Life and times of the Hon. 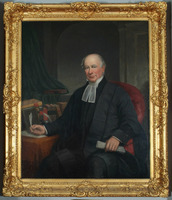 Joseph Howe, (the great Nova Scotian and ex-lieut. 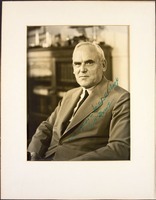 governor); with brief references to some of his prominent contemporaries (Saint John, N.B., 1896); Saunders, Three premiers of N.S. ; Longley, Howe; and W. L. Grant, Tribune of N.S. : Howe. For more recent biographical material, see: J. A. Roy, Joseph Howe, a study in achievement and frustration (Toronto, 1935), and J. M. Beck, “Joseph Howe,” Our living tradition, 4th ser., ed. R. L. McDougall (Toronto, 1962), 3–30. J. Murray Beck, “HOWE, JOSEPH,” in Dictionary of Canadian Biography, vol. 10, University of Toronto/Université Laval, 2003–, accessed April 26, 2019, http://www.biographi.ca/en/bio/howe_joseph_10E.html.